Harker’s athletic department has hired Tomas Thompson as the new head coach of the school’s varsity girls basketball team. In addition to his collegiate playing experience, 45-year-old Thompson brings to Harker a wealth of coaching expertise, including both high school and club affiliations. “We are very excited about Coach Thompson joining our staff as a part-time coach. He brings a tremendous amount of coaching and high level of playing experience to Harker,” said Dan Molin, athletic director for Harker’s upper school. During the 2014-15 school year, Harker’s girls varsity team advanced to the CCS Division IV playoffs, finishing with a 12-12 overall record. ”I’m really looking forward to coaching the girls high school basketball team at Harker and developing the program. There is an incredible amount of potential and I believe it can be among the best with a lot of dedication by the players and coaches,” said Thompson, who was born and raised in Santa Cruz and now resides in San Jose. A K-8 P.E. teacher at Hillbrook School in Los Gatos, Thompson previously spent nearly 12 years teaching K-5 P.E. at Harker’s lower school, while also serving as assistant coach for the upper school’s boys varsity basketball team. Thompson also has coached the grade 6 San Jose Cagers, an elite AAU girls basketball club, as well as at Los Altos High and Valley Christian (where in 2002 he was an assistant coach for the boys team that won the NorCal title). Thompson is a graduate of the University of San Francisco, with a B.A. in exercise sports science. He played Division 1 basketball for the USF Dons, setting a record for the most 3-pointers in a game without a miss. A 1988 graduate of Soquel High, Thompson was also a standout on the Knights’ boys basketball team, where he held a record-breaking 1,948 career points and averaged 23 points per game during his senior season. He subsequently received the Santa Cruz Coast Athletic League’s Most Valuable Player Award. Off the court, he enjoys playing golf, listening to music, watching Stanford football and bodyboarding with his family. 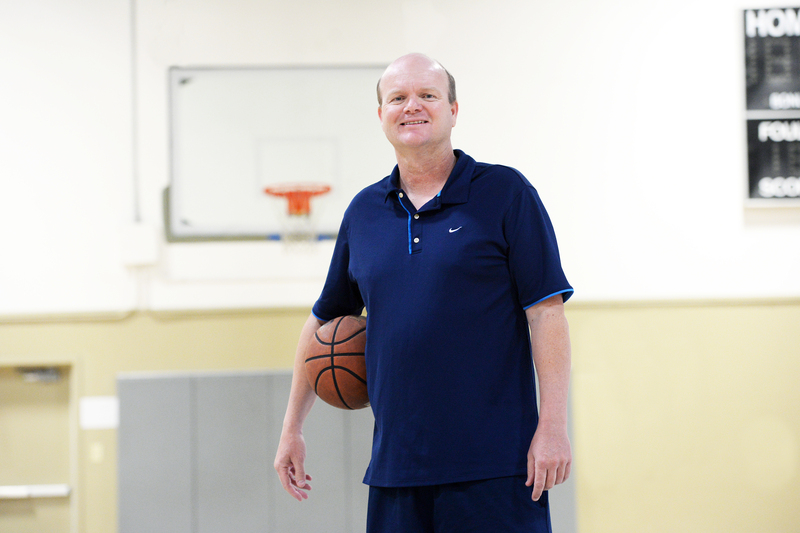 To read more about Thompson: http://www.santacruzsentinel.com/sports/20150715/soquel-alum-tomas-thompson-to-coach-harker-girls-basketball.